A jury has ordered 20th Century Fox to pay $19 million for stealing a high school teacher's ideas for what became the Arnold Schwarzenegger movie Jingle All the Way. The 1996 movie, about the last-minute quest of two fathers for an in-demand Christmas toy, has grossed $183 million. 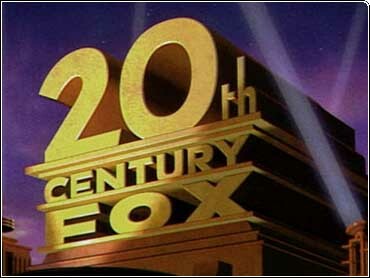 The movie was credited to Ed McQueen, who the lawsuit claims is really Fox script-reader Randy Kornfield. But the U.S. District Court jury said Tuesday the movie was clearly based on Detroit biology teacher Brian Webster's copyright script. The script was sent to Fox in 1994. Fox spokeswoman Florence Grace said the movie company will appeal. "Fox copied nothing, infringed nothing and in no way violated any of the plaintiff's rights," said Grace. Fox lawyer Michael Huget told The Detroit News that Kornfield wrote the plot outline without access to the script. During the six-week trial, retired University of Michigan film professor Ira Knoigsberg testified he found 36 points of overlap between the scripts for Jingle All the Way and Webster's Could This Be Christmas? "You can't have 36 coincidences in an independently created work," said Robert Laurel, president of Murray Hill Publications Inc., which bought the rights to Webster's play and sued Fox for violating the copyright. Murray Hill has said the dialogue, plot and even names were similar. The jury on Tuesday awarded Murray Hill $15 million plus $4 million in legal costs. Laurel said Webster would get an undisclosed share; the script was Webster's first to be published. "This is a landmark case for independent producers," Laurel said. "Hopefully, it will send a message that you can't take the little guy's work and put it off as your own."